This was not straight forward for me to fulfil. 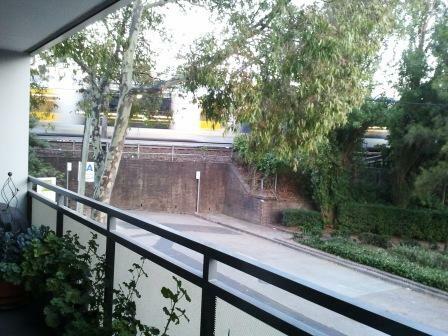 This is our Erskineville apartment balcony. We don’t have a back porch, just a door in from the lobby. This is the view I see most. From my office desk. This is where I’d rather be. At Taylors Arm. This is one of the views from the back porch. This entry was posted in Blog and tagged Australia, challenge, my life. Brava you for capturing the train! Where I’m camping right now the train’s at the end of the street, out the back window and every time I hear one approach I leap for the camera but by the time I’ve loaded it and opened the back door it’s nothing but sound again! Must be very slow off the mark because it ain’t a fast train! Thanks – I had fun yesterday checking out the views linked to the comments on Celi’s post. 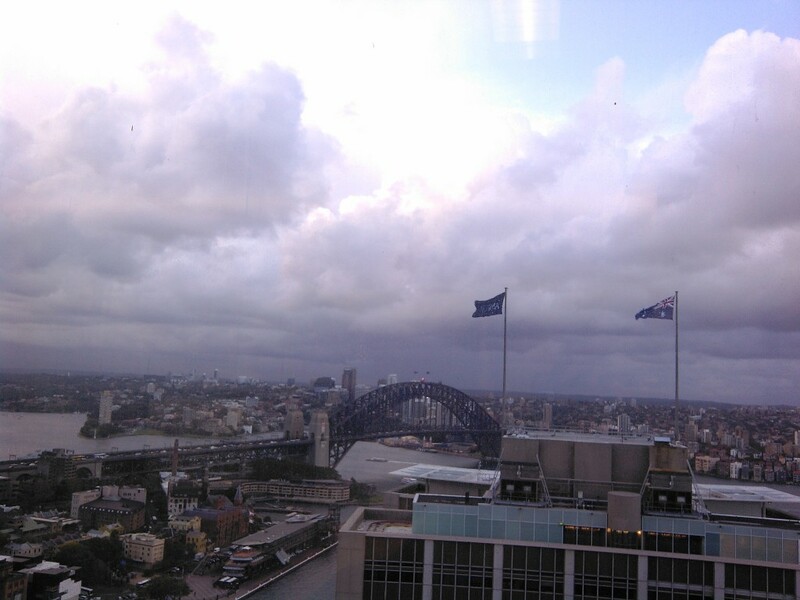 Oh yeah… I hadn’t juxtaposed the views before… The Sydney Harbour view was taken yesterday when it was the miserablest of days, which didn’t do it any favours. I’m with you on that one, EllaDee! Looks lovely at TA. Still a lot of greenery visible from the apartment! Yep. Train. It is silver so difficult to discern but the yellow doors give it away. The trains’ impact is more audible (believe me!) than visible. The little park is nice, and we see the odd possum and birds. Oh, I see it now. I took it for a building. Wow. Thanks for sharing your view. 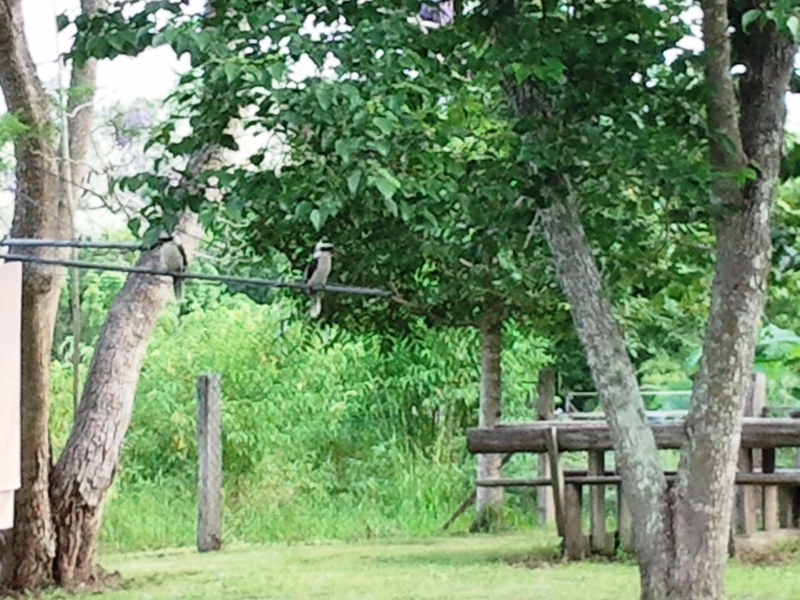 Love the kookaburras! I have enjoyed checking out the various views also… Bloggers are real people with real lives 😉 I have to say this is the first time in a long working life I have had such a view – normally it’s a beige wall, with one memorable job & premises where I had the luxury of a window that opened… in Leichhardt, so you had to shut the window when a plane flew overhead while you were on the phone! I like your last view. The view from our back door it boring, and not worth taking. Thank you – unfortunately the last view is the one we see least, for the moment anyway.